We recommend using public transportation on Saturdays, Sundays, public holidays and other days when the nearby roads are busy. 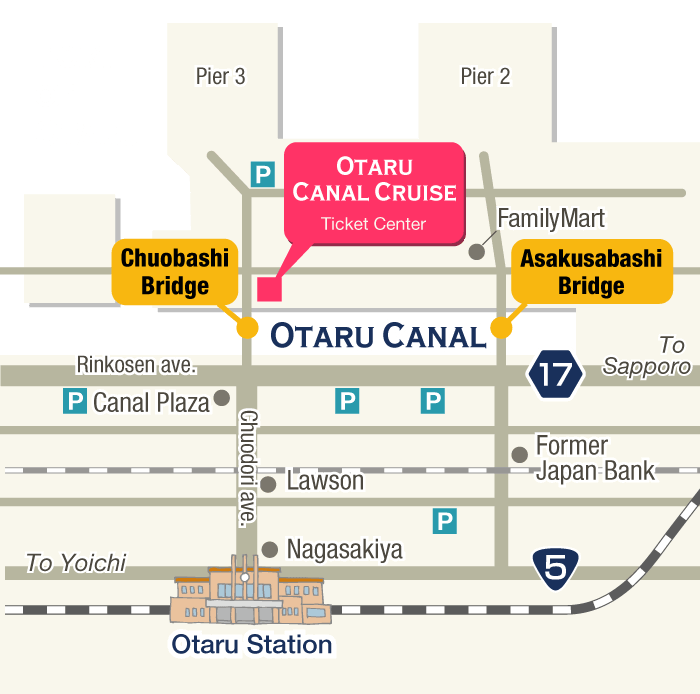 The ticket center and dock is approximately a 10-minute walk from JR Otaru Station. Follow Chuo Dori Ave. towards the port after exiting the station. 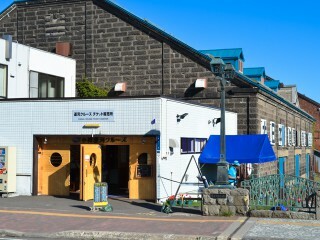 There are frequent bus and railway services from JR Sapporo Station. Please get off at JR Otaru Station. The time required is 32 to 70 minutes depending on the type of transportation. 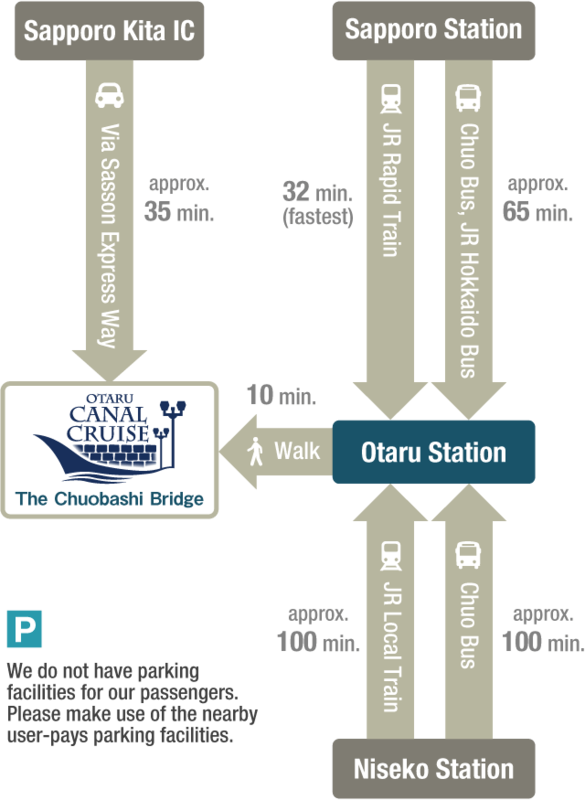 There are some train and bus services are from Niseko to Otaru. The approximate time required is 100 minutes. We do not have parking facilities for our passengers at present. We recommend making use of the nearby user-pays parking facilities. 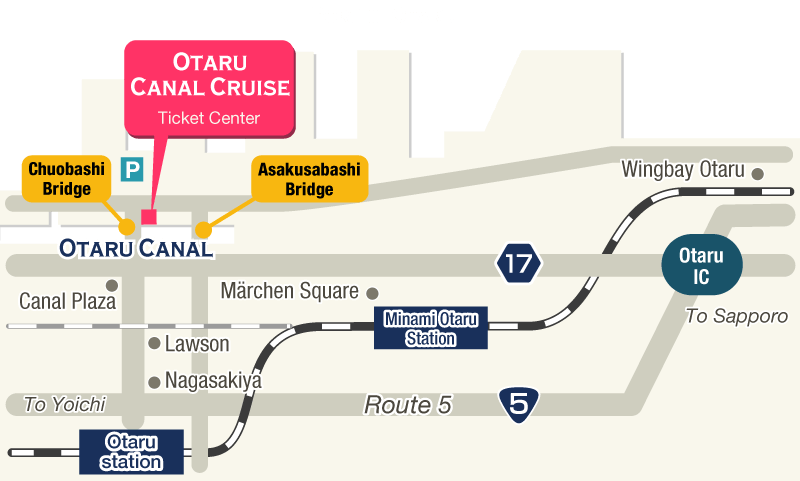 The closest is a 3-minute walk from the ticket center. It is possible to stop buses and other vehicles in front of the ticket center temporarily to load and offload passengers. However, this is a no-parking area, so please move vehicles to another location once loading/offloading has finished.